Cut tofu into cubes and put the cubes into a plastic bag. Pour on the marinade, close the bag and shake the cubes and marinade until they mix well together. Leave tofu in the fridge for at least an hour. 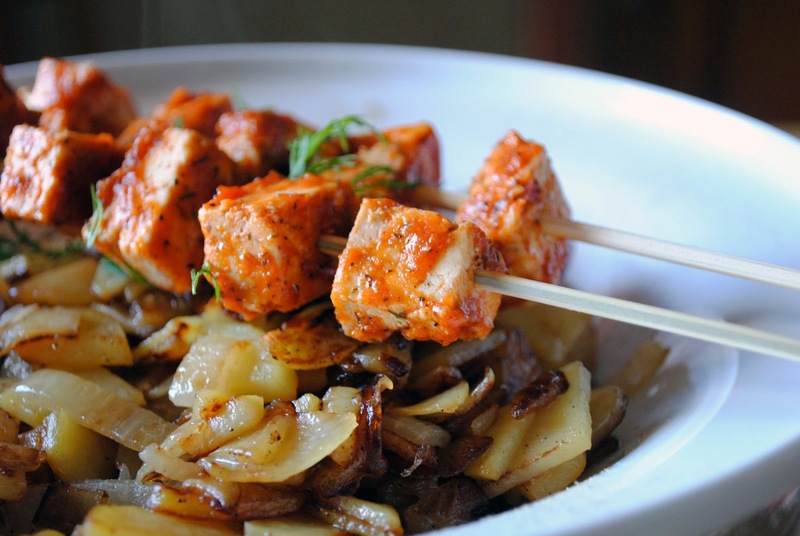 Cook the marinated tofu cubes along with the tomato sauce on a pan in hot oil and then put cooled down cubes on the skewers or just grill the tofu skewers. I served them with fried potatoes.